Cintamani, also known as Saffordite is a rare form of Tektite with Translucent Clarity. The specimin used in the process is 3.5 grams with translucent clarity. (Grade A quality and the example shown in these pictures. Unique pitting in every stone, like a set of fingerprints no stones are identical. 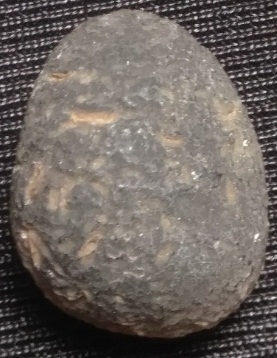 Unique egg shaped specimen shown in photos. Weathered terrestrial/impact glass result of meteorological impact. This stone is from the Sirius star system. Cintamani translates to wish fulfilling stone/gem. It is said to carry the highest vibration of all stones and can be utilized in a many ways. 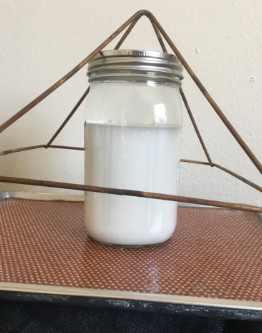 It is a powder healing and Meditation aid, and Lightworking tool. This is a picture of the actual stone used in the process. The main picture is also of this same stone with light shown on it to show its translucent clarity. Cintāmaṇi is a wish-fulfilling jewel within both Hindu and Buddhist traditions, said by some to be the equivalent of the philosopher's stone in Western alchemy. It is one of several Mani Jewel images found in Buddhist scripture. 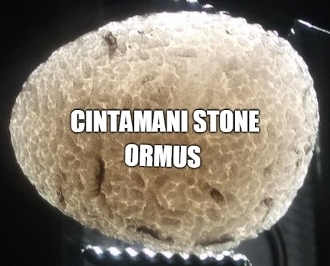 Cintamani is a sacred stone which came from the Sirius star system. Millions of years ago, during a Galactic superwave, a planet orbiting Sirius A exploded. Its fragments traveled in all directions, some of them reaching Earth after a long journey through interstellar space. In the last 25,000 years, the positive Agarthans were guardians of Cintamani stones. Throughout the history, they have given pieces of Cintamani to some of those individuals who had the maximum potential positive influence on the human history. King Solomon, Alexander the Great and Akbar were in possession of a piece of Cintamani stone. One piece of Cintamani, previously in Templar possession, was given to Edward Bulwer-Lytton, who revealed the existence of Agartha to humanity in his famous novel The Coming Race. Cintamani stone is the next step in this energetic process. Since the start of the Multidimensional Operations Solar System, we at the Phoenix Group have started to spread pieces of Cintamani stone among the most awakened Lightworkers and Lightwarriors. Selected pieces of Cintamani stone were put into many dozens of most important key grid vortex points of the planetary energy grid to stabilize the transformation process towards the Event. This Cintamani energy grid around the planet is now almost complete. Old Tibetan prophecy says that there will come a time when the King of the world will emerge with his army from his subterranean realms to defeat the forces of darkness and usher the coming of the Golden age. This time is now. Cintamani stone will play a key role in this process. At the Event, the Galactic pulse will flow through Cintamani stones. Each holder of a Cintamani stone will serve as an energy conduit, transmitting energies of the compression breakthrough into the planetary energy grid. Cintamani stones are pure Light and their energy can not be misused. They help dissolving impants and strengthen your inner guidance and connect you with your higher purpose in this lifetime. But be aware that they are strong amplifiers and serve as magnifying lens to show you what is inside of you, in order for you to transform it, and make you more ready for your mission so that you can play your part in the planetary liberation process. This liquid Ormus gives you the benefits of Dead Sea Ormus that is made with Cintamani Colloidals. I made this Cintamani Ormus by first using low voltage DC electrolysis with a piece of Cintamani Crystal. Once it measures at 10ppm of ionic particles I then take that clear water and add equal parts of Dead Sea Salt and Natron. After mixing it all up I let it sit and I wash it 3 times with distilled water then its ready to go. I could also make it with Milk of Magnesia upon request. Locally collected Ormus minerals made with Dead Sea Salt, and 21 other salts along with harmonically structured water. 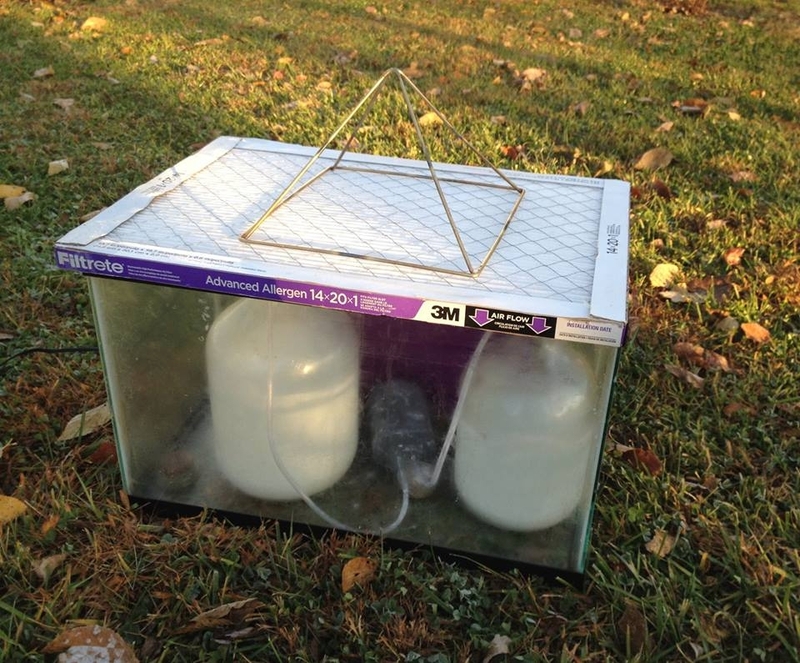 So when I make my Ormus I put it in a fish tank and put tubes from fish bubblers into the jars to pull theseelements out of the air into the jar which then traps them in the solution. I also put a filter on top because of all the pollution in the air. Then I set it out in the moon light and take it inside in the morning. This makes for some potent Ormus. I put a pyramid on top and have a Tesla Purple Plate and Orgone in the tank to give good vibes during the birthing process also.